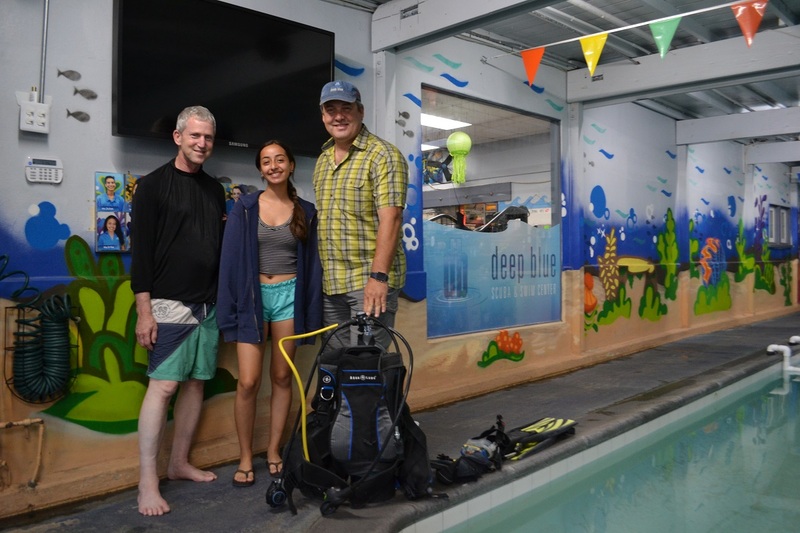 (From left to right) St. Anthony High School teacher Larry Berlin and student Zoe Kennedy pose with Deep Blue Scuba and Swim Center owner Jonathan Hall at Hall’s Belmont Shore business. Photo by Stephanie Rivera. St. Anthony High School science teacher Larry Berlin wasn’t sure how popular an ocean science class with a scuba diving component would be among students when he introduced it for the first time last fall. But nearly a year after that inaugural class began with just 16 students, Berlin said there is now a waiting list to get in for the next school year—and that is in addition to the expanded offering of classes to three sections. “I’m addicted to scuba diving and I love teaching it,” said Berlin, who has been a scuba diver for nearly a dozen years. The class was originally proposed by Assistant Principal Jose De Vera, presumably after being fed up with Berlin talking about diving all the time, the instructor said jokingly. Berlin is not alone in his passion for the sea. The program, one of only a handful in the state, could not have been possible without help from Jonathan Hall, owner of Deep Blue Scuba and Swim Center in Belmont Shore. Hall agreed to provide not only the facility, but the gear and instructors for free to those eight students who opted to get scuba certified. One of those kids Hall and Berlin have inspired is 17-year-old Zoe Kennedy, who was part of the inaugural class. 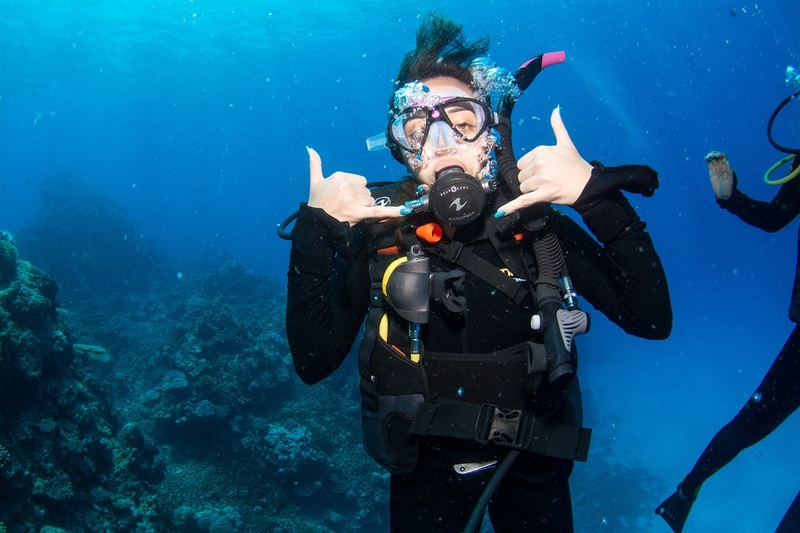 She said she wanted to take the class because her family was planning a trip to Australia last December, so both her and her mother decided to get scuba certified to be able to see the Great Barrier Reef—considered one of the seven natural wonders of the world. St. Anthony High School student Zoe Kennedy swam through the Great Barrier Reef in December after getting certified as a scuba diver through a new ocean science class. Photo courtesy of Kennedy. “We thought it’d be awesome,” Kennedy said, adding that the reef’s predicted death by scientists also motivated the pair to see it. The semester-long course incorporates science, technology, engineering, arts and mathematics, known as STEAM, with students studying everything from physics to marine biology. It’s open to students in grades 10-12 with a requirement of having already completed Algebra 1 and biology with at least a B. The certification component of the class was done over a few weekends and included five pool dives at Deep Blue and four open water dives, which Hall also coordinated for the students. “We wouldn’t be able to get the class certified without him,” Berlin said of Hall, noting that Hall also helped coordinate events like a seahorse dive and underwater cleanups at the Belmont Pier and Catalina. Hall said these dives help tie all the academics students learn to something tangible. 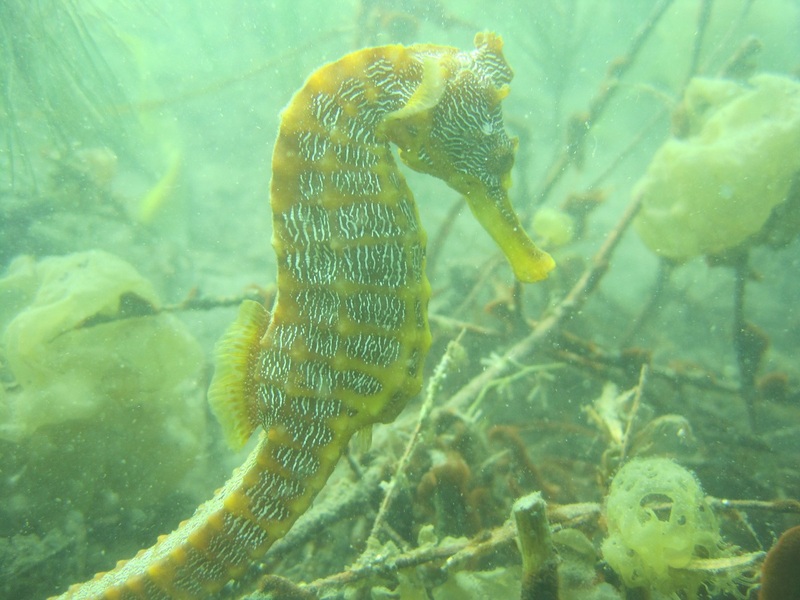 Hall hopes that by making these dives personal for students, when they see little seahorses living in the city’s bay, they feel compelled to protect them. St. Anthony High School teacher Larry Berlin snapped a photo of a seahorse while diving with students from his new ocean science class. “They are the inspiration for the future so hopefully we’ll start the inspiration early,” Hall said. That seems to include Kennedy, who says she now plans to study marine biology and eventually become an environmentalist or biologist. When Kennedy and her mom finally got to explore the Australian reef, she said it was breathtaking — but she also noticed that some divers were careless when they swam through the reef. While the class has opened up Kennedy’s eyes to the importance of marine life, it has also opened doors—she was recently hired by Hall to work at Deep Blue, and she said she has already began recommending the class to her peers.